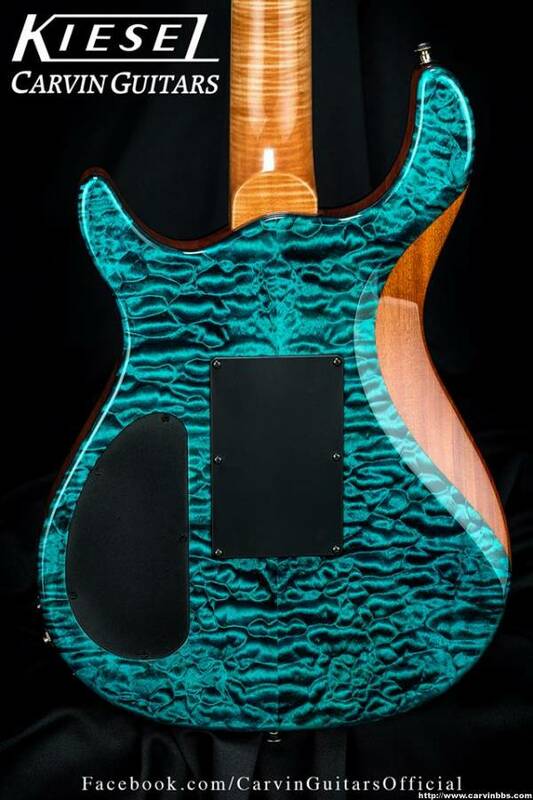 Sorry if a thread already exists, but I thought it would be good to have a clearinghouse for pics that we come across on Carvin's Facebook, or Jeff's Facebook or Instagram accounts. Check out these Facebook beauties from today!! 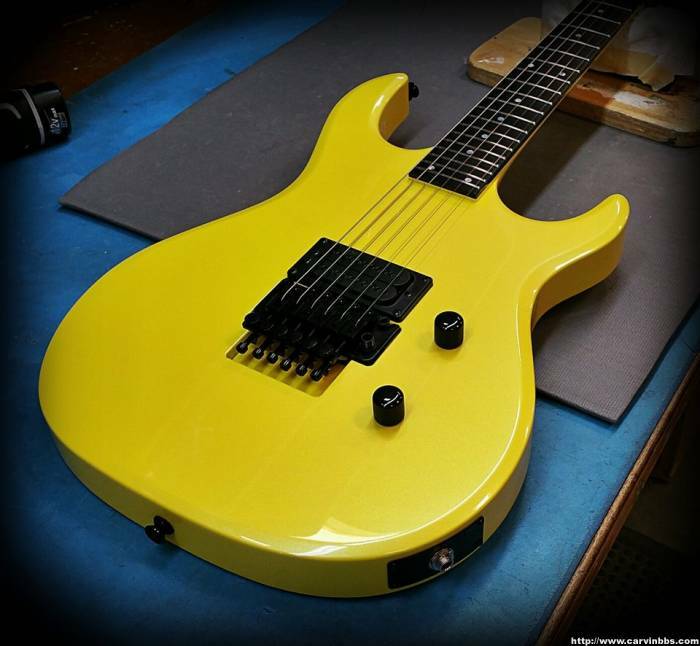 Pearl yellow...new color, or custom request? Last edited by spudmunkey on Sat Apr 04, 2015 7:37 am, edited 2 times in total. 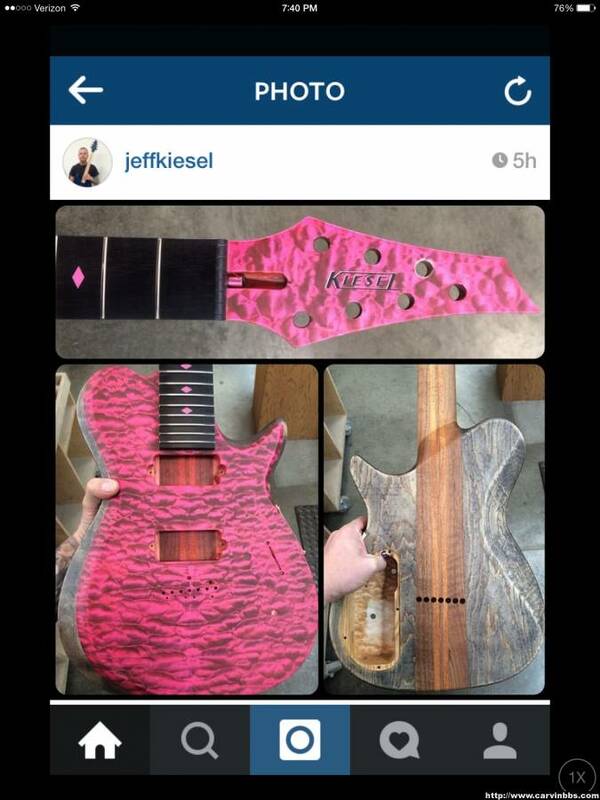 A couple recent ones from Jeff's Instagram. I think the old saying that a picture is worth a 1000 words is very appropriate right now. Thanks for this! Some of us don't do the Social media thing like facebook and instagram so if not for this I likely never would have seen these! I can't believe it took this long to make this thread. Pics have been posted in other threads for a long time now. glad it's useful! Last edited by spudmunkey on Sat Jan 03, 2015 3:57 pm, edited 1 time in total. 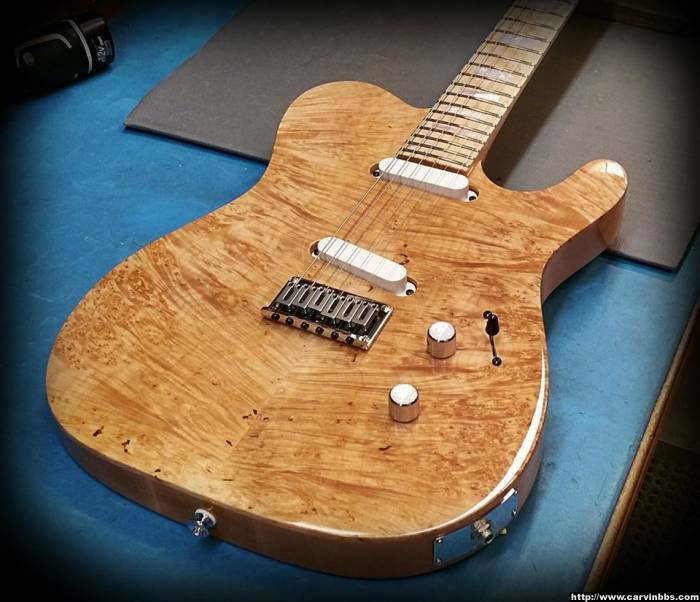 is that first TL60 a burl or spalt? 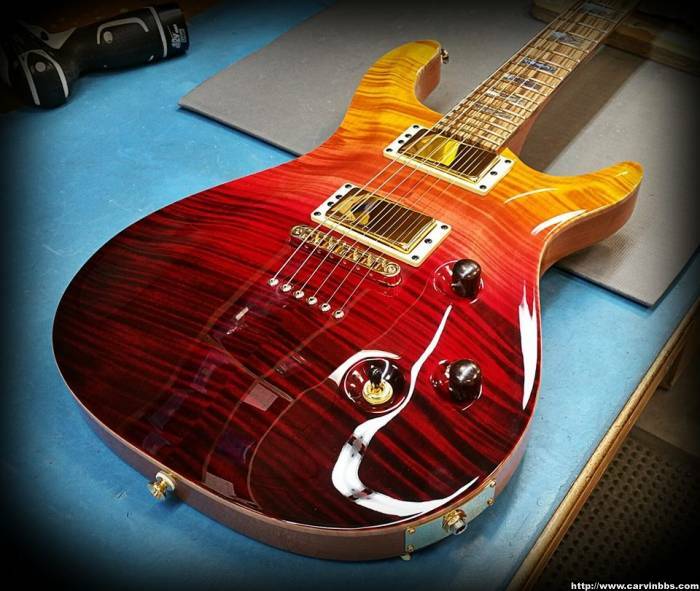 TL60 Dude wrote: is that first TL60 a burl or spalt? That is one amazing TL60. 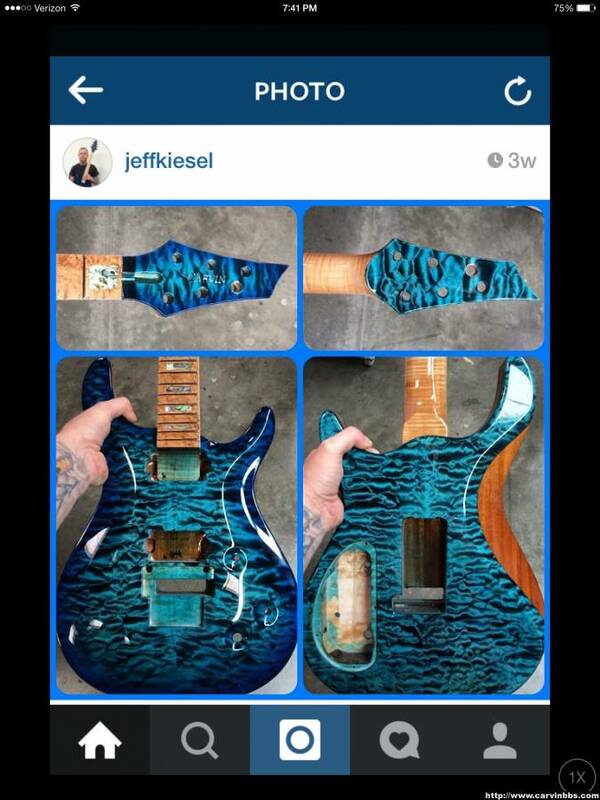 I wasn't a fan of the Teal but this one looks great! I love this thread. Actually its what I had in mind when I started the thread below. I was kind of bummed it did not take off like I thought it would. 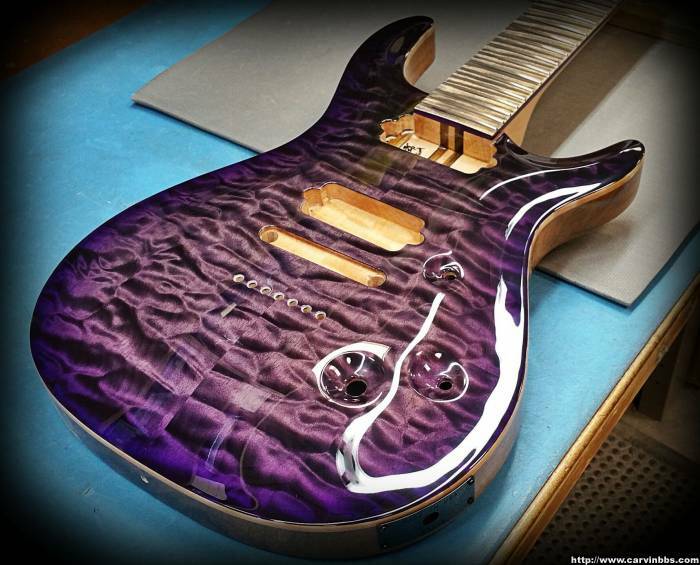 I already own TWO purple guitars ... and 1 green one. 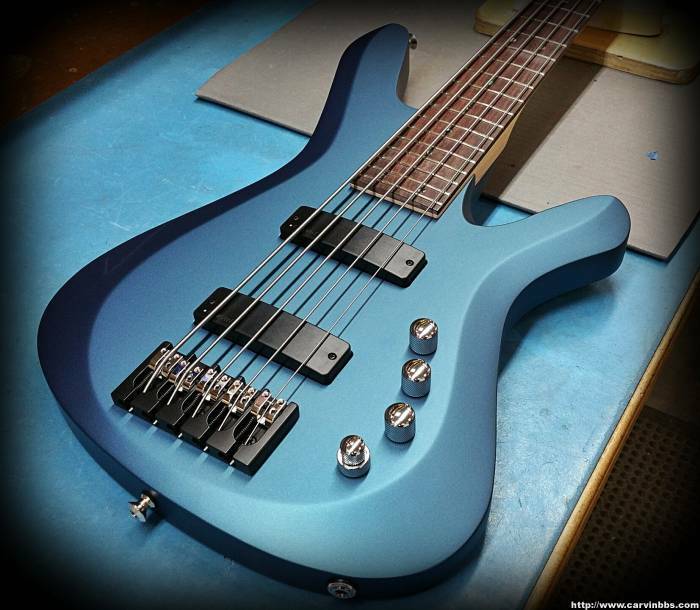 Hmmmm - matte pearl blue??? Not too shabby. dach wrote: I think the old saying that a picture is worth a 1000 words is very appropriate right now. Or at least a thousand dollars! RockCrue wrote: I love this thread. Actually its what I had in mind when I started the thread below. I was kind of bummed it did not take off like I thought it would. My bad, I thought because it was a "club" that it was for people who saw their own guitars on Facebook. Lol, its all good. I only thought of it as a place to share what others might not have access too. Like what you thought. 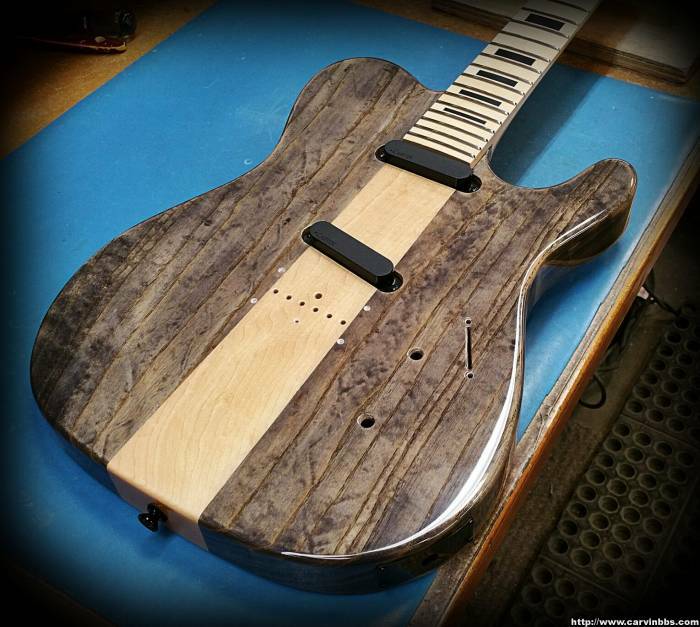 There is no "too much sharing of Carvin love"
What Carvin and Jeff Kiesel are doing now? Through the roof awesomeness. just saying what was always great is now really taking things to the next level. RockCrue posted---I love this thread. Actually its what I had in mind when I started the thread below. I was kind of bummed it did not take off like I thought it would. Ditto what spud said...I never saw your original, and wondered how I missed it. I don't check the club threads much, but I will now. 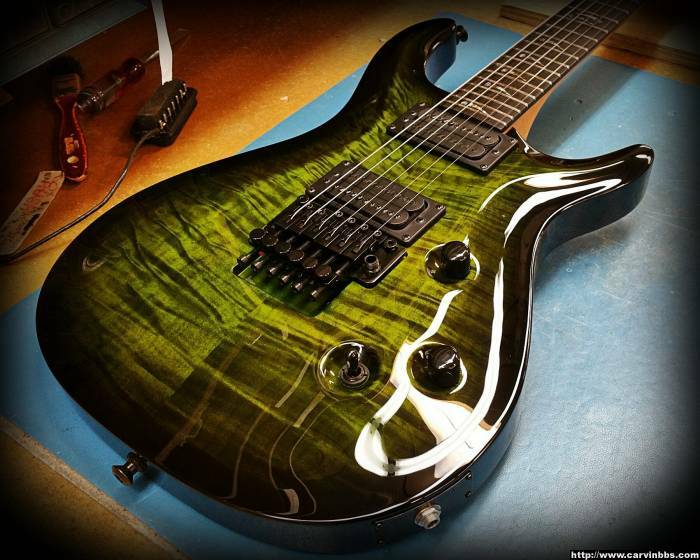 One of the main reasons I'm on facebook/instagram is to check out guitars on a daily basis. So awesome. Last edited by spudmunkey on Fri Feb 09, 2018 5:58 pm, edited 2 times in total.